The Benevolent Side of Anxiety & Depression - NEW DIRECTIONS FOR LIFE, INC.
NEW DIRECTIONS FOR LIFE, INC.
Today, anxiety and depression-related disorders are among the most frequently diagnosed mental-health conditions. As such, much attention has been placed on trying to address these conditions. For those deeply afflicted, severe anxiety and/or depression can be described as the closest thing to an actual hell—the amount of suicides in response to these conditions supports that position. As such, looking for ways to eradicate them certainly seems like a necessary and noble pursuit. Unfortunately, in certain circumstances, these painful, life-limiting conditions may be showing up in an effort to help, not hurt, even though pain is always a side-effect of their presence. My intent here is to illustrate how these conditions can have a benevolent side to them. It may seem odd that something which feels so unbearably awful could have any utility, but sometimes—not always, but sometimes—that’s exactly the case. Of course, there are a myriad of potential causes of these conditions: poor diet, insufficient sleep, lack of physical exercise, a variety of physical health conditions, and unresolved grief (a very common one), to name a few. Perhaps the most common source of these conditions would be developmental trauma, abuse and neglect, and in such cases, what I’m about to share may not fully apply. If our nervous system underwent significant damage in the developmental years, we may suffer from these conditions in a way that provides little, if any, benefit. However, in all cases, I find it helpful for anyone suffering from such conditions to ask themselves, “Could these conditions be trying to help me in some way?” Again, there won’t always be an answer to this question, but sometimes there is, so it’s well worth exploring. Let me give a couple examples in order to illuminate the covert, beneficial potential of these conditions; I’ll start with anxiety. Here’s the scenario: a female is in an ongoing abusive relationship and the violence is escalating. She is experiencing increasing anxiety and shows up in the medical clinic believing she is having a heart attack. Her labs come back normal; there is no medical explanation for her symptoms. Appropriately, she is diagnosed as having an anxiety induced panic attack. She is given medication to calm these symptoms, and she leaves the clinic temporarily relieved. Unfortunately, the question, “Why?” is never explored. Let’s look at another example involving the symptom of depression. Here’s the scenario: a young man tragically lost a sibling. He later develops severe, long-lasting depression, which intensifies in certain situations. It is discovered that this individual would like to pursue a relationship, but when he has the opportunity to do so, his depressive symptoms intensify, and he finds himself losing interest and feeling too tired to go out. It sounds like depression is a real problem for this person, right? Yes, and no. Yes, it’s a problem because it’s getting in the way of him having the possibility of pursuing a relationship with a significant other; however, that may not be the sole motivation behind his depressive symptomology. In this case, the depression might be an attempt to solve a problem, more than be an actual problem. The deeper problem may well be the pain associated with previously losing a loved one, and the depression may be the solution. If the depression is severe enough, it may well protect this individual from getting too close to anyone else and having to go through the unbearable pain associated with losing another meaningful relationship—something that will unfortunately happen with all relationships in the human experience. Therefore, in an example like this, it will be difficult to eradicate the depression without working through the sadness associated with the original loss of the brother. Again, in this instance, the depression may show up to protect, not to hurt or cause harm. 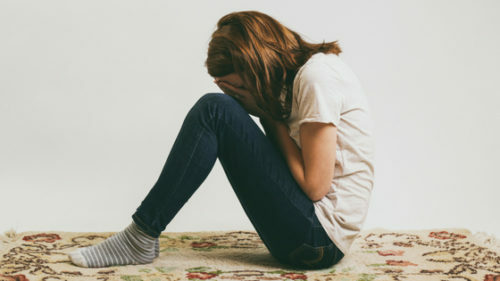 If this person is able to make this connection, and subsequently able to work through the source of his pain (not by avoiding it), then the benefits of the depression may no longer be needed and as such, the depression is likely to abate. Lastly, I have also found that these symptoms will show up in the lives of people who are not pursuing their dreams, passions or interests. For example, I’ve had many clients come to me who are very depressed or anxious, and it is discovered that they have been avoiding the pursuit of something important and meaningful in their lives. Perhaps they are working in a job or career they do not like or wish to be in, while simultaneously neglecting their deeper, more meaningful interests. In such cases, depressive or anxious symptoms might be an important signal that we are neglecting important and meaningful aspects of our lives. Again, these are just a couple of examples I sometimes see in my professional work, not an exhaustive list. As such, my hope is to demonstrate how these conditions may be misunderstood in certain situations—and why it’s wise to consider potential benefits of an otherwise seemingly unbearable malfunction of the human mechanism. In some cases, suppression through medications and/or any other avoidance strategy may be well-intended, but may also be a big mistake. For example, in the case of domestic abuse I described, I would be concerned with any success in reducing the voice of the anxiety. Suppressing this symptom may make it easier to tolerate the abuse in a relationship, but abuse is not something anyone should tolerate: the real issue here isn’t the anxiety, but the abuse. Successfully suppressing symptoms in certain cases may be a pyrrhic victory; that is, a battle won at too great a cost. Quieting or ignoring that inner voice may work well in the short run; however, we shouldn’t underestimate how loud the cries of a dying soul can get (vocalized as anxiety or depression). In cases when the above-mentioned applies, then difficult changes may be in order, not medications or other suppressive strategies. Changes in such instances can be very difficult and scary in their own right, though necessary to strive towards nonetheless. As I’ve discovered, people don’t change until not changing is more painful, and sometimes, we need a substantial amount of discomfort in order to begin the process of attempting to bring about important and necessary changes in our lives. I know for me with my claustrophobia anxiety, I had addressed the issues, revisited the issues again and again to lessen the importance or severity of the abuse done to me in my childhood, but there still was SOOOO much residual angst built up – the only way to release it for me was intense exercise – and I only discovered that as I was doing it. I didn’t feel the overwhelming fight or flight anxiety as much and now I rarely do. There’s still more to work out (no pun intended) but at least I can feel a positive flow of life for once instead of the looming issue that I have to cater my life around. You raise a good point; in that, there can be a multitude of causes and treatments for these conditions. In my opinion, some therapeutic approaches and strategies will fall into the area of “coping strategies,” and some will be “resolution strategies” (or attempts). When it comes to developmental trauma, as you referenced (particularly the assaults to the nervous system from abuse and/or neglect between the ages of 0 to 5), I find full resolution very difficult to achieve for most people. As for exercise, many studies have found that to be at least as effective as certain psychotropic medications, and exercise certainly offers other benefits as well, without the nasty side-effects that often accompany pharmaceutical interventions. Thanks for the comment and glad to hear that you’ve found a healthy way to achieve some relief!